Patrick was detoxed from a 2 gram a day heroin and 200mg methadone habit, with ibogaine, at the Healing Visions experimental research facility, St. Kitts, W.I., by Dr. Deborah C. Mash in 1999. Subsequently he was hired by Dr. Mash and began working at the University of Miami’s Ibogaine Research Project at the Leonard M. Miller school of medicine, Department of Neurology, where he remained for the next 8 years. During the 2000s while working professionally in an academic environment at the Ibogaine Research Project, and participating in high-end medically-supervised treatment at St. Kitts, Patrick engaged in civil disobedience and made ibogaine treatment available under the aegis of unauthorized compassionate use, to individuals within the United States where ibogaine is a schedule I substance. He risked his own freedom to do what he felt was morally and ethically right and made ibogaine treatment available to marginalized drug-dependent individuals who had no hope of ever affording access to ibogaine in another country. The outcome of some of these experimental treatments was published in the Multidisciplinary Association for Psychedelic Studies bulletin, MAPS winter 2003 edition. Kroupa began experimenting with microdose administration of ibogaine in the early 2000s and pioneered the use of low-dose ibogaine protocols for individuals who might be unsuitable for larger “flood” doses due to underlying medical issues. He is co-author of the first — and to date only — paper ever published on the topic of “microdosing” and boosters (regular intake of small doses of ibogaine), which appears in the spring 2005 issue of MAPS. Patrick is featured in Benjamin De Loenen’s documentary film, Ibogaine: Rite of Passage. He has appeared in many special reports on television covering the topic of ibogaine. 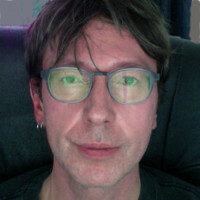 He has been a speaker at dozens of international harm-reduction and drug-user advocacy conferences, he organized and ran all the ibogaine treatment panels for the North American Harm Reduction Coalition during the 2000s; he has spoken at universities around the world, debated at The Phil, and presented before the American Medical Association. Kroupa has maintained continuous abstinence from heroin, methadone — and all other opioid drugs — cocaine and methamphetamine, for the entire 21st century. As of Halloween 2016, he’s been “clean” for 17 years. He has worked with ibogaine for nearly 20 years, personally detoxed over 100 individuals, and worked with hundreds of patients pre and post-ibogaine to help them derive maximum benefit from their ibogaine experiences. Patrick is High Priest in Sacrament of Transition, a church based in the European Union, whose spiritual initiation ceremonies involve the sacramental use of tabernanthe iboga. He is a consultant for Clear Sky Ibogaine.